Millennium Cryogenic Technologies Patents include : REMOVING STATORS FROM TUBULAR STATOR HOUSINGS. Canadian Patent 2371155 and RE44403 in the USA! 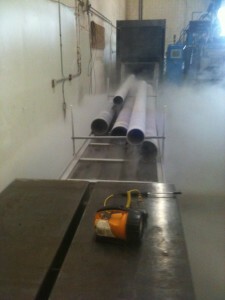 Our temperature controlled cryogenic process is environmentally friendly fast and efficient. This stator delining process stress relieves the alloyed stator housing by transformation of austenite to martensite, engineers like to see the full martensitic finish on alloyed materials such stator housings. Millenniums stator deline process capabilities: . Pipe sizes from 1″ OD to 12″ OD . 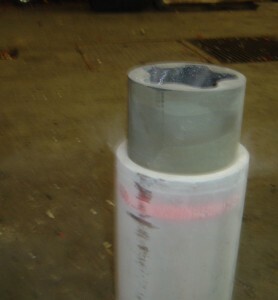 Pipe length up to 32 feet in length . Process time average 6 Stator Housings per hour. Russ McKay has worked for Computalog Drilling Service for over 7 years and had a flawless career with us. On every job and project that Russ was on, he displayed nothing but the most professional Skills in representing our Company. Computalog Drilling Services is in the process of evaluating the Cryogenic Process with great success. This process is going to be very beneficial to our company due to cost savings of repair to our tools and due to the extended life this process gives our equipment. On behalf of my race team I would like to once again thank you for your innovative performance advantage. For the past three seasons we have been using your cryogenically treated components in our braking systems and rotating engine parts. I now have confirmed results from race proven components that the treatment of brake rotors does make a difference in stopping, performance and durability. Case in point last summer we were competing at an event in Trois Riviers Quebec, prior to the race we installed new rotors on the car only having one treated and one not, before the finish of the event the untreated rotor had completely disintegrated while the treated on lived. This is only one of my testaments to the performance advantage this gives my race team. This performance advantage should not go unnoticed, not only does this help stopping our 3000lb race cars but we now are able to get double the life out of our rotors. We have been using Millenniums Cryogenic Process on our Punches for 10 years with great success our cryogenically treated punches last 5 to 1 when compared to the untreated punches.